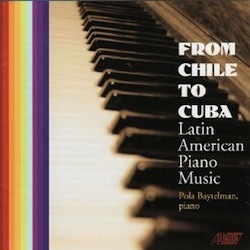 Pianist Pola Baytelman performs works for piano by American composers Joseph Fennimore, George Crumb and Lowell Liebermann. She is joined by flutist Jan Vinci in Katherine Hoover’s Medieval Suite. You can purchase records from Albany Records, Amazon, Arkiv Music, HBDirect, and at fine record stores. 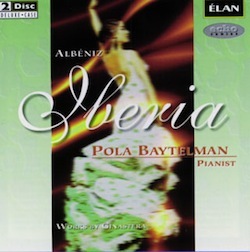 Only these two tracks are currently available for streaming from the “Iberia” album. Buy the full album from Barnes and Noble.